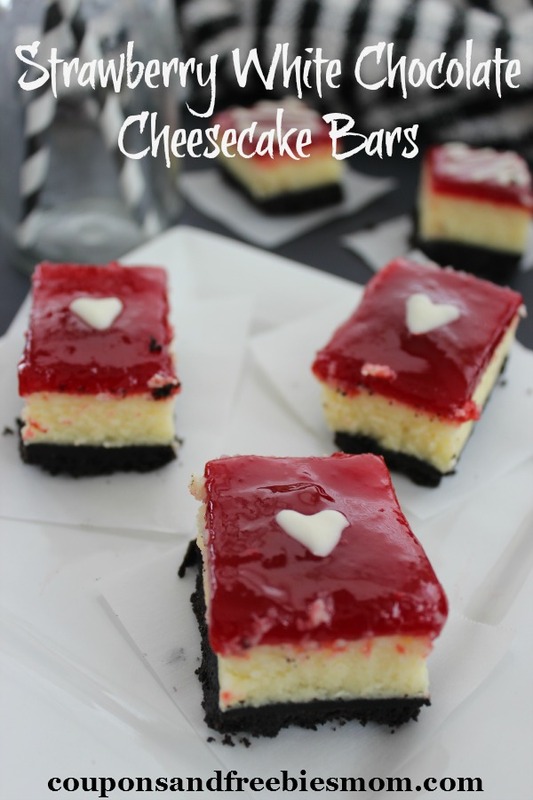 Everyone loves cheesecake and this Valentine’s Day you can share these Strawberry Oreo White Chocolate Cheesecake Bars with your friends and family to show your love and expert cooking skills all in one. 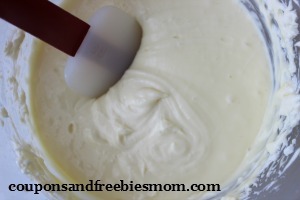 So simple to make and so delectable this treat is one that will be a hit at all of your Valentine’s Day parties and events. Line a 8×8 baking pan with aluminum foil, leaving overhang on all sides. 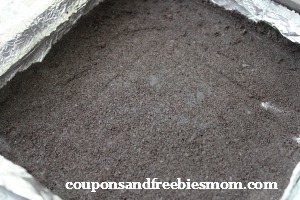 Add Oreo Cookies to a Food Processor or place in a ziplock bag to crush. Melt your chocolate in microwave heating in 30 second intervals and then stirring. 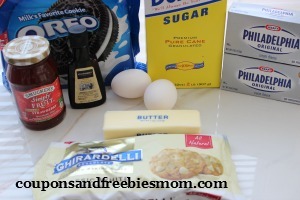 Add all but 1/8 of a cup of your melted chocolate to cream cheese mixture and blend. Spread your preserves/jam over the top of your cheesecake. Drizzle remaining chocolate over your cheesecake (I used a ziplock bag to pipe). Nothing says I love you more than a sweet treat for your love on Valentine’s Day. These Strawberry White Chocolate Cheesecake Bars are a wonderful treat to make and surprise your family with this year. Don’t miss out on all of our great Recipes for stews, chili’s, meats, crock pot meals and treats!